Living and working in New York City often literally means working anywhere you can find a spot in New York City. 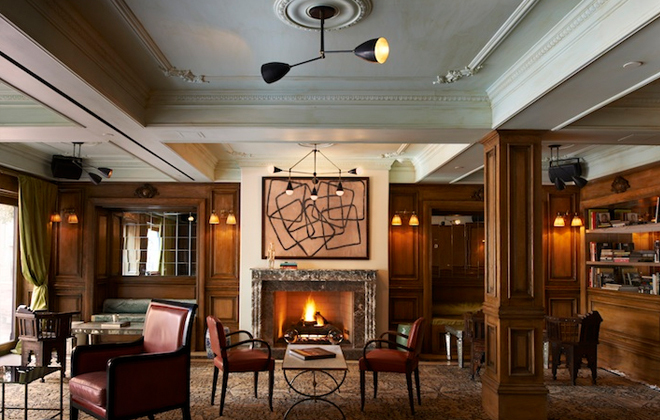 Which is why when I find myself a nomad between meetings or appointments and too far from my office, I love the cozy warmth of the Marlton Hotel’s lobby cafe and bar to hunker down. A home away from my home office of sorts where I can order a good coffee and sit fireside in a jewel box of a place nestled in one of my favourite neighborhoods. What makes the Marlton even more interesting to me is the history of the building that has been both reimagined and respected. It also happens to fit perfectly into its Greenwich Village street as if it always meant to be there. Well, it kinda always was here in many ways! One side of the fabulous lobby lounge area. Great color palette, right? 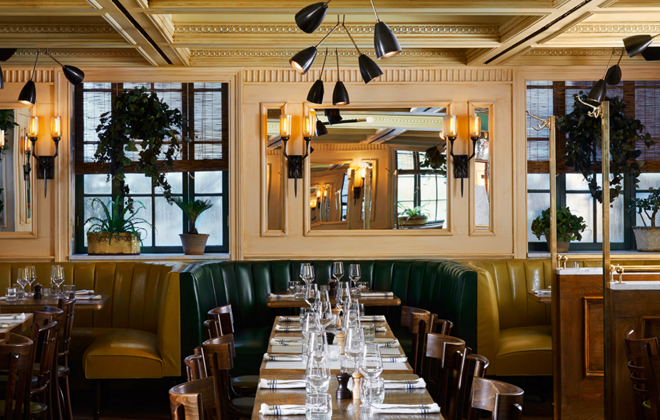 The interior of the hotel’s Margaux restaurant is so inviting. Can’t get enough of those booths! 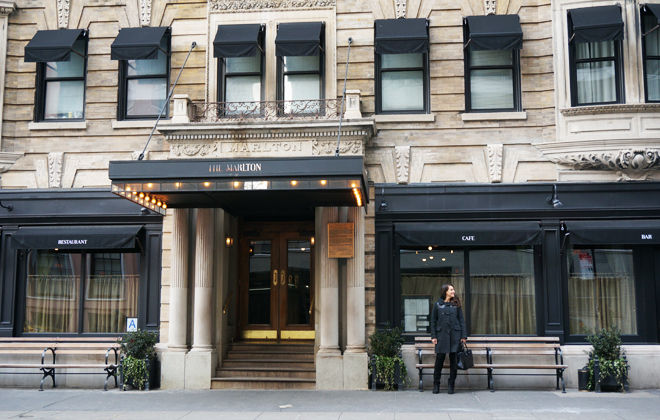 The building, which originally opened in 1900, had been through many lives when hotelier Sean MacPherson took it on back in 2013. 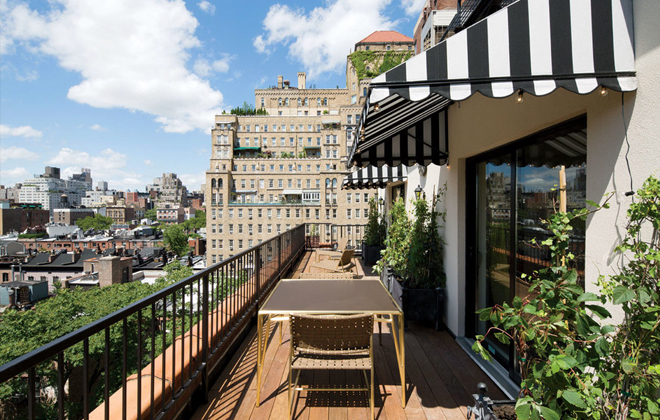 It had been a single occupancy dwelling for somewhat transient guests until the ’60s and ’70s when its prime Greenwich Village location attracted artists and writers like Jack Kerouac and Lenny Bruce. As I write this post, I like to imagine that Jack and Lenny might have once thought some deep thoughts in this very same room! 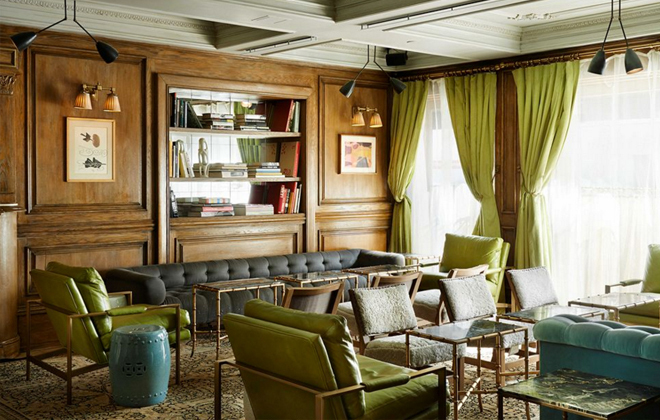 MacPherson had grand plans in mind for his renovation and reboot of the historic Marlton House as the Marlton Hotel, and completely redesigned the space to take on a French-hotel feel, with a sitting room and bar warmed by a fire in the front, and a lovely sky-lit dining room in the back for the restaurant Margaux, which has incredible interior design and quite a delicious sounding menu as well. 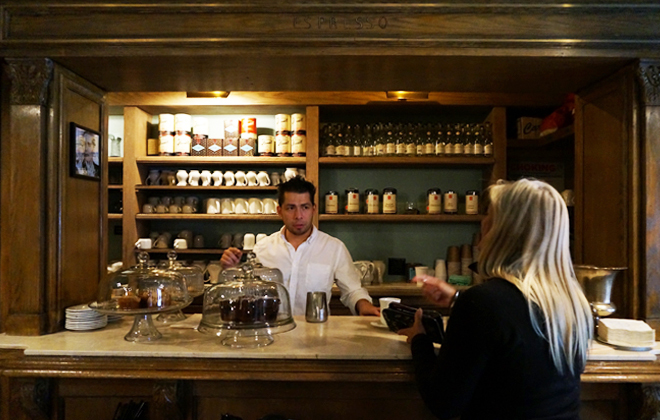 The cozy coffee bar window where you can just grab and go. 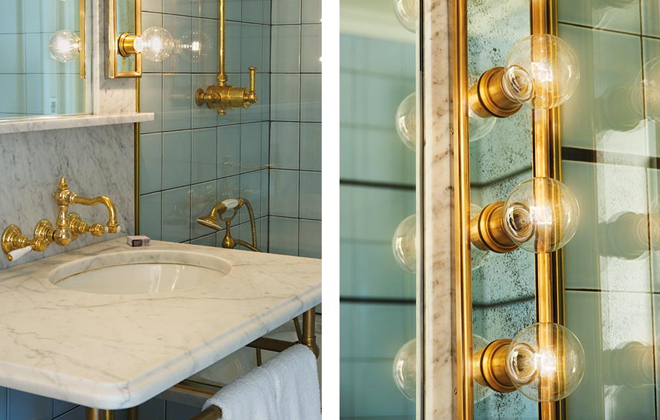 I’m a sucker for brass bathroom fixtures. So chic. Love this lighting, too! The terrace of what must be one of the suites on a sunnier, warmer day. The front entrance with its chic black awnings. If you are ever looking for a great place to stay in NYC when you visit at a more chilly time of year, I highly recommend staying here. The rooms are not anything special (really nice but quite small), but I recommend because of the atmosphere that exists right downstairs. If it is winter, you won’t even need a coat for drinks and dinner as you head into one of our city’s hottest spots. Give it a try!